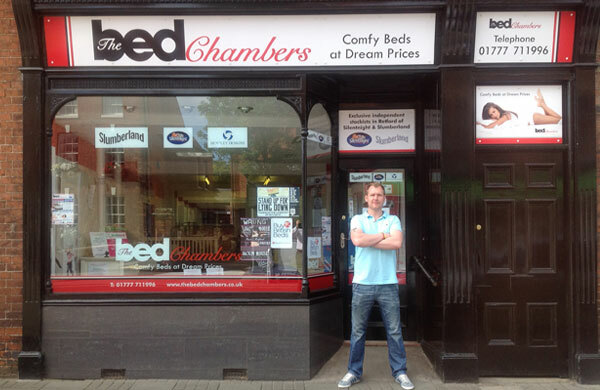 The Bed Chambers opened up for business in 2010 where I utilised my previous 10 years valuable experience in the Bed industry. When I opened The Bed Chambers my ethos was simple. And that was to make sure I provided my customers the very best nights sleep possible regardless of their budget. Sleeping is all about your own comfort, that’s why it is so important you go into a showroom and try the beds for yourself. That’s where The Bed Chambers comes in. Feel free to call in our warm, friendly showroom where you can see and feel the quality of Beds we have ready for you to try where we operate a strictly non-pressured approach to selling. It’s very important to me that you can relax and chat about what sleeping needs you have, and I’ll use my expertise to give you all the best options that might suit yourself and your family. I stock the tried and tested brands such as Silentnight, Rest Assured, Health Beds and Bentley Designs to name just a few because If you want a great nights sleep you will need a quality product with a long guarantee from a proven, quality manufacturer. However, that doesn’t necessary mean your new bed will cost you a fortune, I’m incredibly competitive on price. In fact, on top of our pricematch policy, we regularly run special promotions such as Free Memory Foam pillows and Free Headboards. I stock all ranges of beds and mattresses from traditional Pocket Sprung to High Technology Temperature sensitive beds and luxury divans to uber contemporary bedsteads and have over thirty beds ready for your testing in my showroom. Part of our Bedstead range is available for you to buy online and we will be adding more of our great products in the future. We price match all our products very carefully so you always get the best possible price and you will also receive two Memory foam pillows absolutely FREE with every bedstead order. "The Bed Chambers was a real inspiration to other independents with an enthusiatic owner whose inventive approach to marketing has continued to develop over the past year, with celebrity appearances, customer feedback, loyalty cards, online reviews and social media - all of which has led to growth in the business."